... Proudly serving the Knoxville area with quality work. This is the official, verified website of Earl McGill and McGill Contracting. 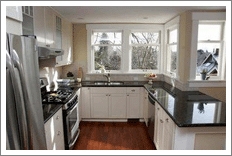 McGill Contracting is a full-service home improvement business located in Knoxville, Tennessee. We've built our name and our business on quality workmanship and a growing community of satisfied customers. McGill Contracting is fully licensed, bonded, and insured. Our Tennessee Home Improvement Contractor License number is 00004057. Please contact us for an estimate, to find out more about our services, or with any questions or comments you might have. We'd love to hear from you! You can reach us by phone at 865-607-3174, or by email at mcgillcontracting@gmail.com.